Expertise is at the heart of our value added engineering capabilities. Companies in today’s highly competitive marketplace face increasing challenges on a daily basis. Shortened product life cycles, more demand from customers, and escalating development costs require new strategies for product development and sustaining engineering support. At SigmaPoint, our dedicated Prototyping team will help our customer deliver prototyping builds as fast as 3 days from their best-in-class NA sites. Our collaborative approach with your engineering and design staff assures successful NPI (new product introduction). 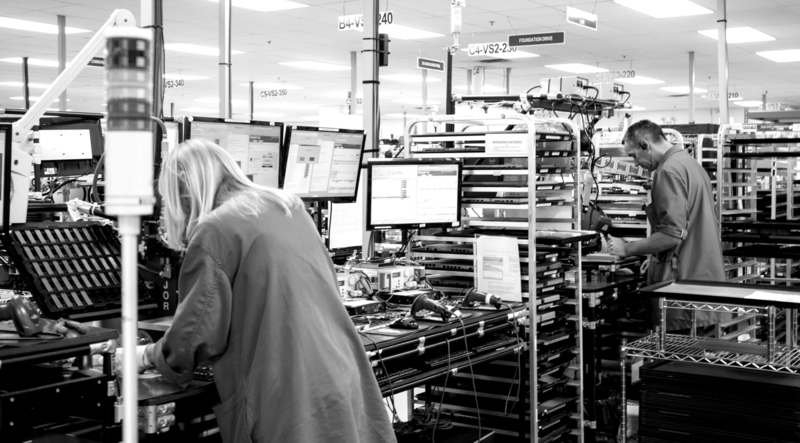 Our rapid prototyping and consistent focus on long-term manufacturability will not only help get you to market faster, but assure ongoing product life cycle success. At SigmaPoint, our collaborative lean culture approach with your engineering and design staff ensures successful NPI. We move beyond traditional DFV through design for assembly, as well as design for supply chain success to ensure successful product launches. Custom test strategies, functional tests, environmental stress tests and others ensure high reliability for complex assemblies. Our world class high velocity manufacturing, lean enterprise philosophy, engineering capabilities and supply chain, enable excellence in various market sectors such as defense, Energy/Industrial, IoT, Communication, Servers, Audio/Video Broadcast, Imaging, Medical and Automotive. We pride ourselves in understanding our customer markets, their forecast models, and their technological evolution in order to support them better. Our goal is to become their operation’s partner. SigmaPoint has developed expertise in all those market segments at every step of the product lifecycle from early prototypes to high volume production and integration, right here in Cornwall. The development of key supplier relationships and the understanding of our customer’s market and product technology are critical components within our supply chain strategy. We collaborate on both ends of the supply chain and utilize world-class information technology to reduce costs, shorten component lead-times, mitigate risk, and strengthen the integrity of supply pipelines. With core capabilities in Demand and Supply Balancing and offerings in International Logistics and 3PL, we can enable your business to dynamically equalize needs, quickly learn of unexpected issues, and cross functionally align on impactful decisions as a team, to determine the best corrective action. We will move your product anywhere in the world at the right cost and on time. Our seasoned engineering team always ensures that we stay ahead of the technology curve. From experienced process engineers to senior product and test engineers, SigmaPoint follows and supports your technological evolution along the product lifecycle every step of the way! Your “Time to Market” Partner. Catalyst 137, our new facility in Kitchener, Ontario will serve Toronto-Waterloo corridor high tech sectors and local innovators in the IoT space. It will be the home to everything needed to accelerate time-to-market including, a testing facility and commercialization services. SigmaPoint offers state-of-the-art prototyping services with SMT line capabilities of building a product from beginning to end. This means SigmaPoint is always ready to help design, develop and produce the next piece of cutting-edge technology. Our dedicated team of New Product Introduction experts will accompany you on every aspect of new product introduction. We will provide Design for Manufacturing (DFX) feedback and post-mortem reports for immediate product improvements. Our supply chain analytic capabilities via Kinaxis RapidResponse and our lean manufacturing culture will prepare our customer for what to expect when they are ready to go to volume production.